The frameless Shower offset quadrant from leading brand Coram is available in both left or right options, the tray is 1200mm x 900mm with a 55 degree curve. 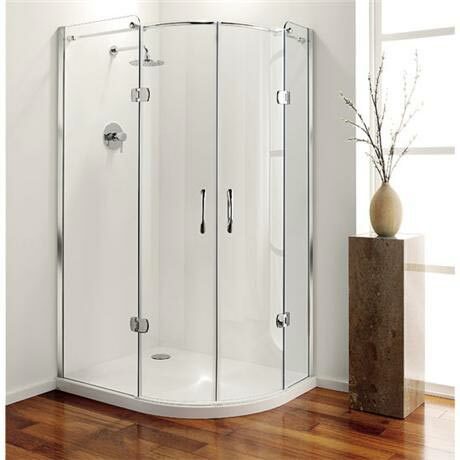 The enclosure is aprx 2000mm in height but this can be slightly more dependent on shower tray thickness. This offset quad features double doors supported by chrome hinges. Hi Peter, unfortunately the Coram Frameless Premier Hinged Offset Quadrant is only available in clear glass. Thanks.